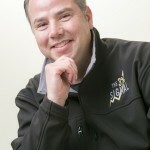 Jason Kelly: The 3% Signal - Wall St. for Main St.Wall St. for Main St.
Wall St for Main St interviewed best selling author and newsletter writer, Jason Kelly. Jason recently published a new book called The 3% Signal. In this podcast, we discussed the Japanese economy, the stock market and bond market in Japan and how the Fukushima crisishas affected Japan. Plus we will go into detail about Jason’s unique investing strategy from his new book. Plus much more!